Did you read that? Isn’t that a beautiful thanksgiving prayer? This same prayer reflects what has been in my heart. I praise God that Satan’s attack on God’s submissive children will always end up frustrated all by HIS grace. I have observed personally that the more I make decisions to pursue godliness in my life, I find that Satan works his fingers to his bones to preclude me from fulfilling my goals. It should not surprise me because as the Bible indicates, Satan seeks to destroy God’s children with busyness and all sorts of afflictions (1 Peter 5:8). Continuing to tread my life’s journey this far made me realize one thing: I should talk with Satan as often as He tempts me to disobey God. Yes, I do need to pray and put on the whole armor of God as the Apostle Paul suggests us to do in Ephesians 6:10-20 but I also have to shoo Satan away! That entails talking to him and making him stop as often as he annoys me with twisted truths. (Lol!) It might sound funny and charismatic but I have been doing what the author suggested for years. And you know what? It is effective! The bottom line is we can shoo Satan away using Jesus’ powerful name! Brace yourself if you are not so used to facing culture shock. 🙂 Let our virtual journey begin! People in the villages still continue to cook using this clay stove. Most families in the village own a man-made pond where they can grow their own fish. While hollow blocks are commonly used in building houses and constructions in the Philippines, bricks are the ones favored by builders here in my adopted country. I love taking Bangladeshi vans in the village though. 🙂 It allows you to view the beauty of the green meadows clothing the whole village. People mourn over their deceased loved ones in their homes and they don’t provide any coffin for them. The bereaved bury their loved ones’ corpses as they are beside their homes using clay soil. People still cross the river by wooden boats. In my experience, I remember Jesus and His disciples every time we cross the river by boats. Most vendors in Bangladeshi markets are men. They have a very patriarchal society. Take note that men also buy groceries for their families. Some people pity me upon hearing that as I live in Bangladesh, I have to go through a lot of adjustments. However, I consider it a privilege to be serving my husband in his home country so he can pursue the call God gave him–to win souls for Christ. To me, going through a culture shock is a cause of inconvenience, yes, but God is working in my heart. There’s a mission work in progress within me and even though I don’t realize what He wants me to do with the experience I have been having here in Bangladesh, my calling is to remain steadfast in my faith that He is doing something. His mission work through us and in us is ongoing. Year 2016 is almost over. Looking back at how year 2016 went for me makes me stand in awe of God’s goodness. I saw His daily grace and provision for my family, His deliverance in times of our adversities and forgiveness in our failures to please Him at times. The thought of God’s undeniable myriads of boons upon my family is entirely humbling. The question I have been asking myself is, “What can I do to thank God in return?” The answer is nothing. And yet, I believe that the least I can do is use whatever time and talent He entrusted me to bless others (I hope…). So to celebrate God’s kindness upon my family and me, I would like to share a Christmas giveaway to you who are interested. I am sharing these free-printable-spiritual-journal-pages. My desire is that these journal pages would motivate you to journal your lessons from your walk with God and develop your “gratitude-attitude” further in year 2017. Buy a 5×7 three-ring binder. Print one page of the first five pages. I wish I could do more but these will be all for now. Enjoy and have a Merry Christmas! How are you doing as you walk the journey God has called you to pursue? Have you been weary? cold? just going through the ebbs and flows of life? I found a very special book which is about as old as me. It was published in the year I was born. I found this book quite engaging and indeed, soul-inspiring! I got a copy of this book all because I tried to dig up some books to read from my father-in-law’s library. I decided to write a review because it’s too stellar not to be shared about. I believe that this book will definitely ignite the fire in your heart toward God, which might have become cold because of too much familiarity with the Christian routine you have been doing. I hope the following details will persuade you to get your personal copy or borrow the one I read. 1. Price on Amazon: It’s only $0.01. Isn’t that a great deal? It’s almost free! Click here to get your own. 2. Length: It’s only 138-page long. It should be a great read during your breaks in a day. 🙂 I read it during the holiday break. The point is whether you are busy or not-so-busy, you can afford to read a chapter or two in your spare time. It’s definite that you will find the words in this book truly encouraging! 3. Quality: It’s full of stupendous illustrations from the life of Pastor Joseph Stowell. It’s filled with encouragement from the Scriptures on how to keep your love for Christ alive. I assure you that you will have so much indelible takeaways from this book! What’s the latest book you have been reading aside from the Bible to help you to continue your spiritual journey? Let me know what that is in the comment box and I will try my best to get my own copy or borrow from one of my friends’ library when I can. May God inspire you to remember your first love for Christ as you read this book. Keep moving as the Holy Spirit leads you. Have a wonderful journey! God loves you unconditionally. The fact that I am able to write at the moment is a tremendous blessing! I had thought that I would never be able to pen my musings again. In fact, holding a pen has never been this uncomfortable but I see this as a great privilege to trust God’s sufficient grace as I continue to be His mouthpiece in the form of writing. 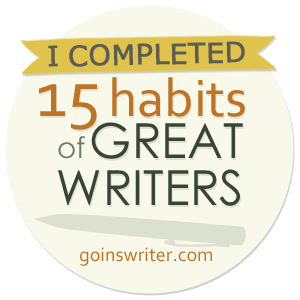 As a writer, I couldn’t but reflect upon what I am going through (i.e. healing my injured thumb.) Different thoughts, both positive and negative, run through my mind at times. I am definitely sure though that it is God’s will for me to saturate my mind with thoughts that are virtuous and praise-worthy (Phil. 4:8) and to remember that this trial of mine is meant to bring forth patience (James 1: 1-4). Now, what are the other lessons that God is teaching me from this point of my journey? What is God’s purpose for allowing me to go through this pain? To be very honest, that’s beyond my understanding and I have to take this as from Him. I have to trust that He wants His glory out of this experience of mine. He uses pain to make me appreciate health. He is the source of health and recovery! If you are like me, going through a healing process, please remember that your other body parts are working normally. Praise God for that! 🙂 Also, remember that our full recuperation may take time but one thing is definite–it will happen in God’s time. He uses this opportunity to open my eyes and let me see how many people from around the world sincerely care about and pray for me. What are the things that you have been going through at the moment? What are the life lessons you are learning from your spiritual quest? I hope and pray that the five life lessons I am learning from my journey at the moment will be a blessing to you as well. 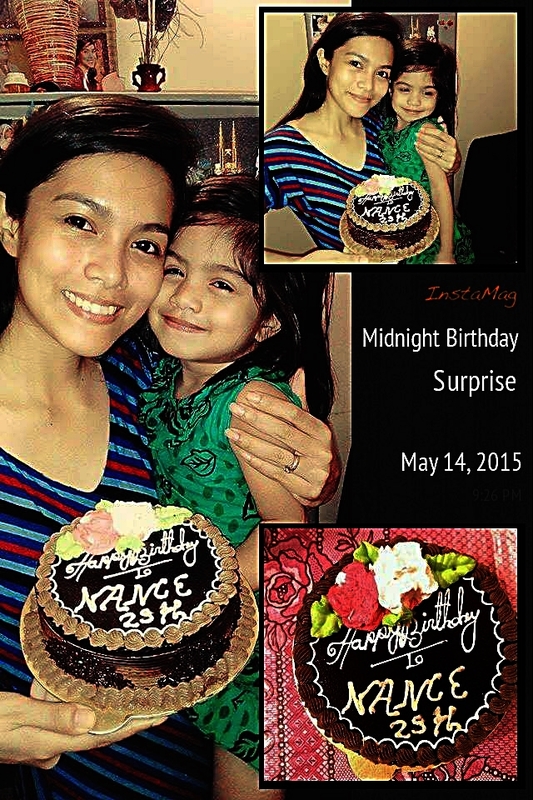 Midnight of May 13| So my wonderful husband wanted to pretend that he forgot about my birthday until this sassy moppet of ours excitedly told me, while I was working on my lesson plan, that there’s a “happy birthday cake” in the fridge. It was a few minutes before midnight, to be precise. I cannot but praise God for the gift of life! I woke up to a morning birthday greeting and a kiss from my husband! My dear loving moppet also did her share and hugged me tight and gave me a bunch of kisses. I got both virtual and personal greetings from friends and relatives. I cannot but praise Him for the gift of life! God, indeed, has been making me feel loved through my family since the day I was born until now. I am in awe of His faithfulness and goodness despite of my unworthiness to receive any of His blessings. I cannot but praise Him for the gift of life! 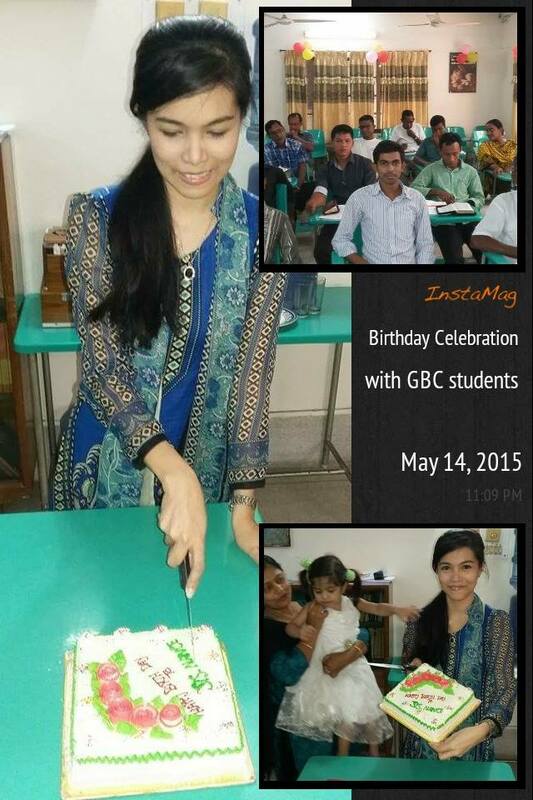 Our small Bible College threw a short yet surprise birthday party for me. I cannot but praise Him for the gift of life! He has planned from the beginning that He would like me to see this physical world and eventually know Him not only as the Creator of this world but most especially, as my personal God. Since then, I learned and am still learning to live life according to His Word. I cannot but praise Him for the gift of life! Today, all I want to do is rededicate my life and my all unto the glory of His name, since I cannot but praise Him for the gift of life.